Lotus seeds contain 65% carbohydrates, 2% fats and 15% proteins. Lotus seeds are known for their healing and nutritional properties in Chinese and Indian medicine. 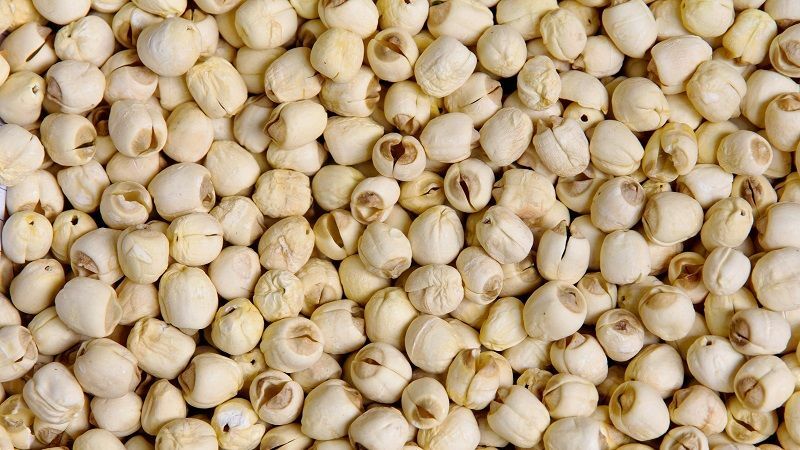 Lotus seed benefits include its ability to work as anti-oxidant, anti-spasmodic and anti-hypertensive. It also helps treating diarrhea, insomnia, Dysmenorrhea, atherosclerosis, high blood pressure and other heart diseases. 100 grams Lotus seeds provide total 332 calories from which 16 calories are from fat. Lotus seeds do not contain cholesterol, and Trans fats. 100 grams lotus seeds are loaded with 102 mg of omega 3 fatty acids and 1064 mg of omega 6 fatty acids. This lotus seed nutrition makes it heart friendly food. According to nutritional information given above about lotus seeds, these seeds are beneficial in heart diseases, but may not be perfect food for weight loss because these seeds lack fiber content. However, they are low glycemic seeds, so you can include them in weight loss diet. They can indirectly help to lose weight. In addition, lotus seeds are good source of protein, manganese, copper, phosphorus, Magnesium and thiamin. Lotus seeds have many medicinal properties and healing characteristics due to which these seeds are in demand, especially in India and China.